Duffy Movers is a family owned and operated business and has been serving both residential and commercial customers with all their moving needs since 1952. We are a 3rd generation serving Bergen County for more than 60 years. We have used Duffy Movers several times. The first time was to bring several items from my mothers house in Florida to mine in New Jersey. I needed not to have worried about her antique desk or her china. Everything arrived in perfect condition!When my daughter was moving from our home to her first apartment, again we contacted them. Since then she has moved twice and called them each time. Recently she moved to Jersey City, which turned out to be a difficult move. The building elevators were being used by someone else, even though they had been reserved, but the men knew exactly how to handle the situation and the move continued. 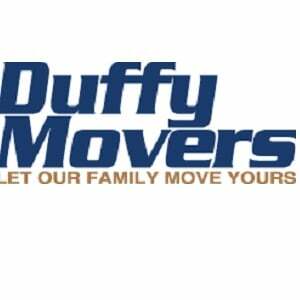 Now it is time for us to move and we have again contacted Duffy Movers. The owner Kevin as always responded to our call promptly and showed up when he said he would, unusual in this day and age. He has given us a fair estimate and only now need to set the date. In the past year I have recommended them to several friends and they have all been happy, as I'm sure we will be again. I cannot recommend Duffy Movers highly enough. They moved my mother into Assisted Living, and then I called them again. They moved furniture, art, and boxes in the blazing heat and up 2 flights of stairs. The men were professional, courteous, polite, and punctual. As long as I'm in NJ, Duffy Movers will always get my business. We were looking for a mover to move the contents of my daughters home that was in storage in a condo in Lakewood up to Little Falls. We saw one of their trucks in town and asked one of the men for their business cards. We called their office and Jennifer was very helpful in getting us a fast quote that she explained would be a firm price, with no additional changes to be expected. After speaking with the owner, Kevin, we booked the move, which was on a 1 week notice!The men who actually did the move arrived exactly on time as promised and they were very professional and courteous. Every piece of furniture was blanketed and strapped and handled with care. Every carton was loaded onto handtrucks and carefully loaded in the truck as well. When they were finished at the Lakewood location, they made sure they went through the condo once again with me to be sure nothing was missed. When they arrived at the destination, everything was put in the different rooms as we requested. All the inside banisters and outside railings were covered and protected against any damage. They re-assembled any furniture that needed to be re-assembled before they left. We couldn't have asked for a better moving experience. We would highly recommend this company for any moving needs. Handeled a multipoint move that required skill and finesse. Pleasant, personable staff and $500 cheaper than anyone else. We moved from New Jersey to Delaware. The men were hard workers, polite and professional.We also used Duffy Movers 12 yrs ago for our move from Leonia, NJ to Saddle Brook, NJ and called them again for our recent move.I highly recommend it Duffy Movers for all your moving needs. You ROCK!! !